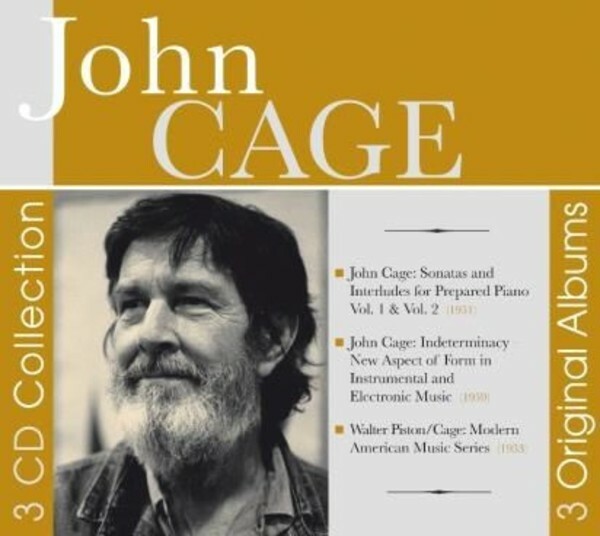 Three original LPs by the pioneering American composer John Cage in one slimline box set. His works are performed by the pianist Maro Ajemian, violinist Alexander Schneider, harpsichordist Ralph Kirkpatrick and the New Music String Quartet. On �Indeterminacy� the music is played by David Tudor, with Cage himself performing the readings. The albums included are the double LPs �Sonatas and Interludes for Prepared Piano Vol.1 & Vol.2� (1955), �Indeterminacy: New Aspect of Form in Instrumental and Electronic Music� (1959), and the single LP �Walter Piston / John Cage: Modern American Music Series�.